REM Sleep – It’s Good for Your Brain! Did you know that your sleep is not just one static, monotonous state? Sleep is actually a very dynamic process. You go through many different stages of sleep while you rest through the night. REM sleep is one of those stages. You may be more familiar with it as the part of your sleep where you dream. But REM sleep is a lot more complex and important than just a few crazy images flashing through your brain. 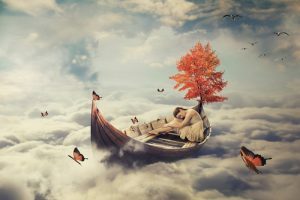 In this article, you’re going to learn all about REM sleep and just how essential it is for human health and well-being. The acronym REM in REM sleep is shorthand for rapid eye movement, which is one of the most telltale signs of this particular sleep stage. Back in the day when scientists began to research human sleep cycles, they noticed patients and study subjects experiencing patterns of rapid, random back and forth eye movement during certain sections of their sleep. Aside from the eyes, though, nearly every other skeletal muscle in the human body is paralyzed during REM sleep. Scientists refer to this as atonia. Experiments on animals have shown that when REM sleep atonia is interrupted in any way, the animals walk around and move as though acting out their dreams, despite being completely asleep. It is strongly believed that the same thing happens in humans, i.e. sleepwalking. It seems like atonia is a natural defense mechanism to save us from ourselves when we dream. Thanks to advanced technologies these days, we can empirically observe exactly what happens in the brain during REM sleep. For starters, brain wave activity changes dramatically. Throughout a REM cycle your brain can change from emitting alpha to theta and all the way up to high frequency beta waves. Scientists were puzzled by this at first, because high frequency beta waves are usually only observed when someone is fully conscious and undergoing complex mental tasks. Some scientists even like the joke that REM sleep is paradoxical sleep, because of the brain is behaving almost the same way it would if it was conscious – despite being completely asleep. It’s not just that your brain waves are more active during REM sleep; certain parts of your brain also get a good workout that they can’t get at any other point in your sleep cycle. Without REM sleep, your brain cannot consolidate, process, or store long-term memories of your experiences from the previous day. Your brain also goes through an emotional rollercoaster while in paradoxical sleep because the emotional sectors of your brain light up and become much more active. This helps explain why dreams have such a powerful effect on us. Scientific studies show that people who try to take a lot of information in or perform many complicated tasks on a given day will spend a significant amount of time in REM sleep that same night. Science has also discovered that in all stages of childhood – from infancy all the way into a person’s teenage years – REM sleep takes up the biggest chunk of the human sleep cycle. Your brain uses REM sleep to prune the tree, so to speak. It breaks down neurons it doesn’t use and redistributes those resources to the parts of your brain you use the most. So the phrase “use-it-or-lose-it” as just as true for the brain as it is anywhere else in your body (or life, for that matter). As important as REM sleep obviously is, you’d think that it would be the easiest to get, right? Unfortunately, no. When your body isn’t getting quality rest, one of the first sleep stages to get sacrificed is REM sleep. But if you put in a little effort, you can make sure that your body dedicates a healthy chunk of its sleep cycle directly towards getting all the REM sleep you could possibly want. Avoiding these substances is easier said than done. Alcohol and weed are more obvious, but can be hard to avoid depending on how you relax socially. Other things can be more insidious. Most people don’t know, for example, that the main ingredient in most over-the-counter sleeping pills is an antihistamine. Furthermore, most doctors won’t tell you that certain antidepressants can have a negative impact on your REM sleep. The sad truth is that most doctors don’t even know themselves that this is the case. It’s up to you and your medical practitioner to weigh the pros and cons of sacrificing your REM sleep for the potential benefits of taking a particular antidepressant medication. We can’t give you any medical advice on that subject here. 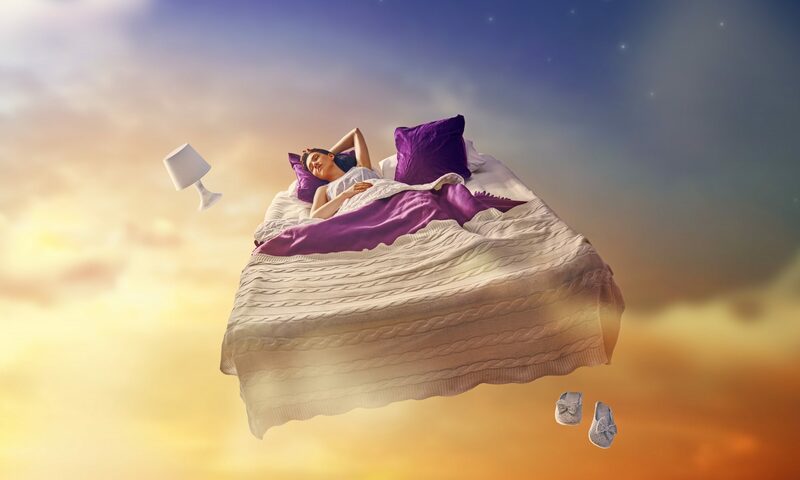 Before you reach for the drugs, prescription or otherwise, try to improve your sleep hygiene. Even changing small behaviors, such as avoiding electronic light before bed or taking an evening walk after dinner can have a pretty big impact. But if you must take something, make sure it’s a natural sleep aid like Avinol PM about half an hour before bed. The natural extracts and safe ingredients won’t interfere with REM sleep. On the contrary – it’ll help you get to sleep naturally so that it’s easier for your body to get all of the REM sleep it needs. So don’t just do it for better sleep; do it for better REM sleep. Previous PostPrevious Eating Before Bed Isn’t Just Bad – It Can Be Dangerous, Too. Next PostNext Supplementing With Melatonin – Will it Give You a Good Night Sleep?